SURUHANJAYA PERKHIDMATAN PELAJARAN MSIA, WILAYAH PERSEKUTUAN PUTRAJAYA, W.P. PUTRAJAYA. SEKTOR: AKTIVITI FOTOKOPI, PENYEDIAAN DOKUMEN DAN LAIN-LAIN AKTIVITI SOKONGAN PEJABAT KHUSUS T.T.T.L. 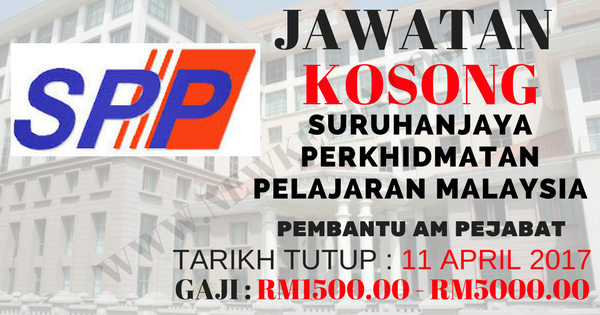 0 Response to "JAWATAN KOSONG SURUHANJAYA PERKHIDMATAN PELAJARAN MALAYSIA"